Gage has a new friend. I wish he didn’t have this new friend, because we met him in the pediatric unit here at the hospital, he may have a tumor. I wish we’d never have to meet this kid, or other kids like him. It’s too hard watching the parents wait, for the devastating news, hoping, praying everything they are being told is wrong and that really they are just having a nightmare and they are going to wake up soon. It hurts because when I see them, I see us when we were first diagnosed. The fear in their eyes, the tremble in their voice as they talk about what’s going on. It’s much easier once you’ve been diagnosed, then you can get your game plan going. The look in the families eyes suddenly change with the knowledge they get, your number one priority is now getting your kid better. You also realize it’s now your job to educate people on what you’re going through, to let them see your struggle; as you fight for your kids life. I guess meeting these families is the best thing for us, it makes me feel not alone, somebody else is going through the same thing that we are. I am so glad Gage has met a new friend. Please at around 11:00am pacific standard time today ***12-13-10***our new friend Ethan is going in for a biopsy, please pray for him and his family. Pray, the surgery is quick, and that they get good news and that the tumor is benign; pray to give them the strength they will need in the coming months. 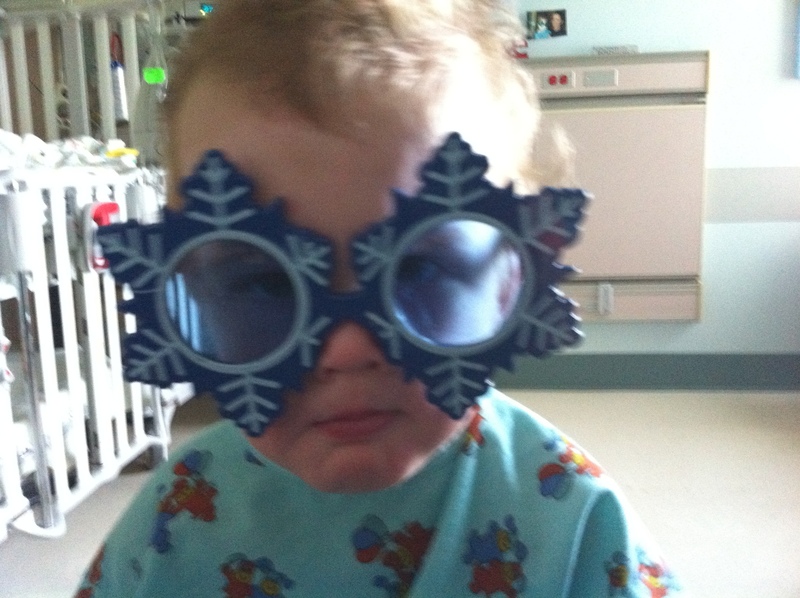 This entry was posted in Uncategorized and tagged Gage, hospital, leukemia, live, love, port, surgery. Bookmark the permalink.